The construction works will start next year in April “I will invest not just a lev or two, but millions.” Hristo Stoichkov announced a few days ago, before he became an honored citizen of Smolyan. The trainer of the National Football Team will personally invest and will look for partners for the construction of a hotel, stadium and a villa site in Ezerata site, nearby the town. “I have the support of the local politicians to give permission for Stoichkov to invest in the old stadium of the town and to co- operate him for the permission for the construction of a hotel by the stadium”, announced the mayor of the municipal Dora Yankova. “Smolyan” stadium was built in 1961, but in 1985, but official matches were never played on it. The local club “Rodopa” uses “September” stadium in Raikovo neighborhood. “Smolyan” stadium is situated on a very nice site and it would be good to modernize it. It smells like football here, said Stoichkov, after the local administration offered him to invest in the town. “The old stadium will soon become new”, said Stoichkov. At the moment the junior formations are playing on the same stadium. Al least half of the grass is missing. The tribunes for the audience are weedy. The tubes below the drainage are blocked and in heavy rains the playground is filled with water. “The municipal has deserted the stadium and nothing was done for it for years”, said the ex- football player of Pirin- Stanko Dinev, who is taking care of the maintenance of the facility. “I don’t think that it will happen so easy, more than a million are needed for the repairmen of the stadium,” claimed Dinev. Stoichkov wants to build a hotel near by the stadium on the place of the now existing changing- room, where teams from Bulgaria and foreign countries will be accommodated. Even in these bad conditions of the sport base, at the moment from Rodope Mountain are coming teams from the lower divisions of Turkey and Greece, and elite clubs from the country during the summer. Close to the stadium is situated a subsidiary football playground and beach volleyball terrain and a swimming pool. Stoichkov announces his intentions during the summer, even before Dora Yankova offered him to become an honored citizen of the town. The offer surprised the local parliament. 13 people from the opposition even posted empty bulletins during the vote. The new that Stoichkov is going to build a small village with several villas. The area is 15 decares and is very close to the “St Spirit” chapel in Ezerata site, north of Smolyan. Stoichkov together with two businessmen engaged a team of specialists, to work over the project for the future complex. The land which was bought by private persons and is situated close to the main lift station of “Ezerata” chalet to Snejanka Peak, which offers good connection links to all of the pistes in the resort. The owner of the lift- “Pamporovo” Joint Stock Company plans to change the now existing lift with a brand new speed for- seat lift next year. Stoichkov will be close to the new resort Perelik. A nice road will lead to his mention, which was built this spring for 3, 1 million euro. 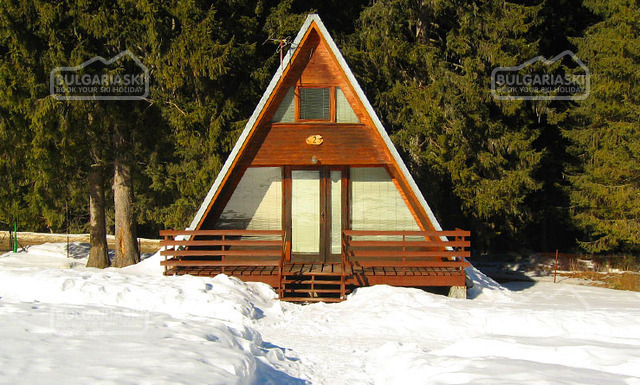 South of it is the picturesque “Ezerovo” neighborhood and Smolyan will be just 4-5 kilometers below Stoichkov’s villas. The famous Slomyan lakes are close to Stoichkov’s property. They are on a landslide region. In the past they used to be 20 now they are just 7. It is still not clear what kind of buildings will be constructed by Stoichkov, but most probably they will be small villas. The football star is a neighbour of Valentin Zlatev- a head of “Look oil”. The petrol boss planned to build a hotel and a holiday home in the region. Several small, chalets, rest homes and holiday homes in the village of Ezerovo will be competitors of the football star. “The interest towards Ezerata is huge”, claim property brokers. Stoichkov will start the construction works starts in April, when the regulation plan of the Ezerata will be ready. The municipal will be ready by the end of the year. The problem is that this region is a water shed zone and the land is coming down.